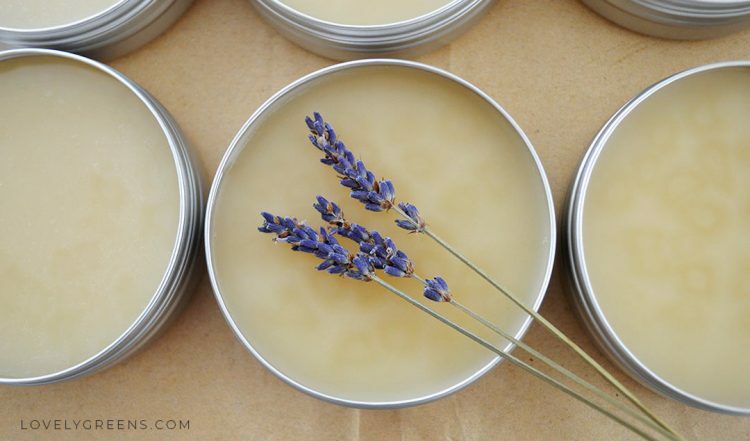 Lavender body balm is a natural skincare product that you can easily make yourself. It’s a rich oil-based product scented with soothing lavender essential oil. You can use it to soften and moisturize your skin but also to calm nerves and tension. Rub a little on your temples at night and it can also help ease you into a peaceful slumber. It will take you less than half an hour to make this recipe and once poured and cooled you can use the balm immediately. 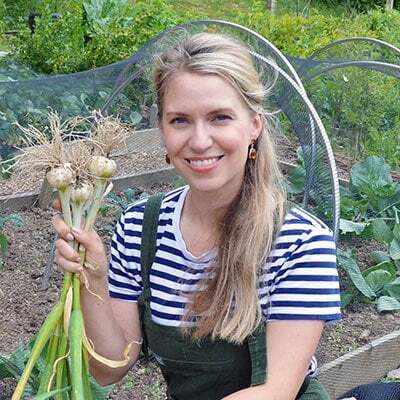 I’ve never shared one of my Lovely Greens product recipes before but now a handful of people (and now you!) 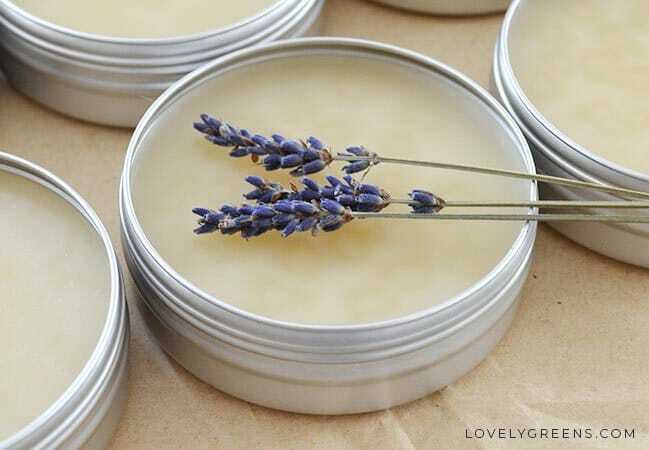 know how to make Natural Lavender Body Balm. 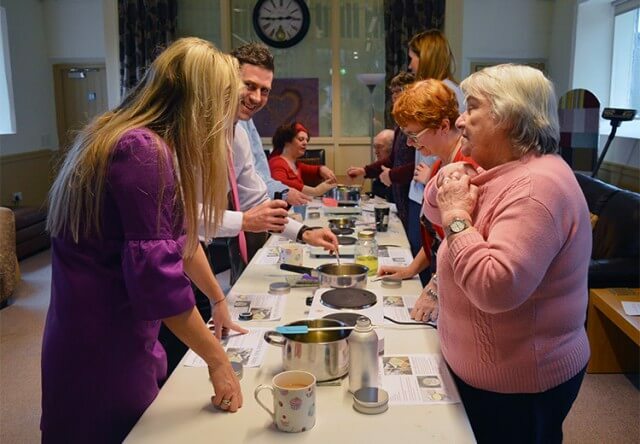 The reason and audience seemed fitting for the share — it was to remember my friend Leo by showing her friends and family how to make her favourite product. Leo passed away after her second battle with Cancer and I think she’d have loved to be remembered in this way. The last time I saw Leo was in the hospital. It was shortly before she passed and though Cancer really had taken its toll she was still as feisty as ever. I remember bringing a pot of the body balm as a gift and asked if she’d be able to get help to put it on later. Even though she was tiny and weak she defiantly pulled back the blanket to show that she could reach her own toes. Leo loved to use the balm on her feet, especially after she went through chemotherapy and the skin on her hands and feet became dry and irritated. She was gone within days of that last visit. I think about her often — every time I drive past her house, see handmade cards (her favourite hobby), or make a batch of lavender body balm. That got me to thinking. Maybe others would find comfort and a bit of fun through making the balm. I got in touch with Manx Cancer Help, a drop-in centre for anyone affected by Cancer. Leo was a huge fan of the aromatherapy, reflexology, and other services the centre provides and I asked to host a remembrance workshop. They were more than happy to host me and I had the honor of showing Leo’s closest friends how to make Lavender Body Balm. 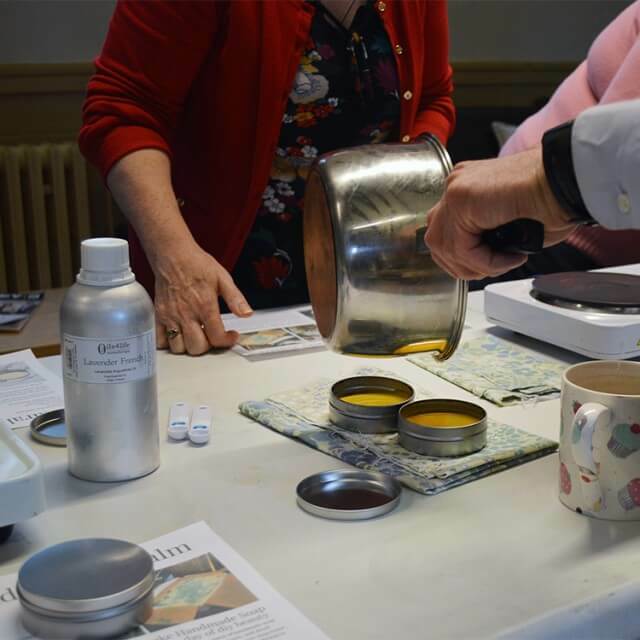 The lesson was lively and chatty and everyone seemed amazed at how easy it is to make body balm. All it’s really made of is solid and liquid oils that work together to moisturise and protect. They are gently melted together, essential oil is stirred in, and then it’s poured into containers. I enjoy teaching people how to make handmade skincare but this was even better because it’s so easy to do. Throughout the lesson we all spoke of Leo and remembered things she said and did. Everyone there knew her as a friend and her husband David was able to join us for the day. Even after I’d packed up and headed out the door I could hear the sound of laughter and chit chat and know that most of all that’s what would make Leo smile. 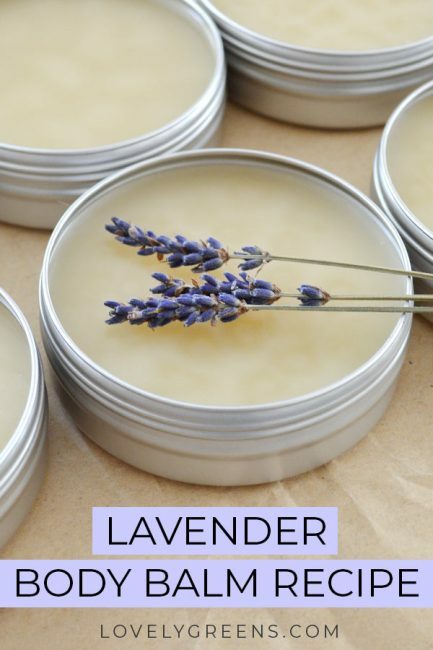 For her I’d like to share the recipe and instructions for making Natural Lavender Balm with you as well. 1. Over very low heat, or better yet, a double boiler, melt the beeswax and shea butter until liquid. Add the Sweet almond oil and then wait for it to liquefy again. Keep stirring it during that time to help speed things up. 2. Take the oils off the heat and allow them to rest until the temperature is about 130F/ 54C. Stir in the Vitamin E and essential oil and then pour into containers. Allow to harden and cool which can take two to three hours. Don’t put a lid on the container until the balm is hardened and at room temperature. Shelf-life of up to two years and/or the closest use-by date of any of your ingredients. You should use the balm within these two years or within six months of opening. Lavender and Rose are some of my favourite scents, and I often wear lavender oil on my skin, it seems to be the only thing that calms itchiness, and I rub sweet almond oil on my feet, so I will most certainly be using this recipe, maybe tweak it a bit.. but how lovely that you did a class to show how easy it is to make body balms. I am so pleased I found your site! RIP Leo. what a wonderful tribute. I love this recipe Tanya and keep a pot handy to apply a little anytime my skin needs a little extra TLC. Do you know the equivalent measurements in gat ms for the Vit E oil and lavender essential oil? Thanks for sharing your lovely recipes. Can we use safflower oil instead of almond oil.thAnk u fr the wonderful recipe. Very moving .. thank you for sharing. Hi, what is the shelf life of these soaps? Thank you. You can find shelf-life information in the last paragraph. can i use cocoa butter?,instead of shea butter. Thankyou very much for the recipie, and is a beautiful way to remember your friend. Thank you Mirta. You could do but it’s much harder than shea butter — that means that your body balm will be much harder too. You’ll have to play with the recipe and increase the liquid oils to counter balance the hardness. Thank you for sharing your recipe. I am going to give it a go. I love lavender but could you use other essential oils in the balm instead? Absolutely 🙂 Peppermint, Rose Geranium, and Ylang Ylang are some of my favs. Rose Absolute would be great too but use half the amount. Would you have any conversions for US measurements of cups and teaspoons? I have all of the ingredients, but do not know how to convert! Really sorry but I nearly always work in weight when making beauty products and soap. Please keep in mind that the ounce measurement is fluid oz, not ounces by weight. Is there a a particular size container that is better or worse to use? Thanks! You can use smaller ones if you prefer but I wouldn’t go larger. 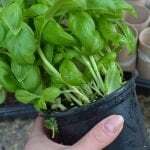 You need to use the product up within six months of dipping your finger in it and larger containers might take longer to finish. what is the difference between a balm and a salve? 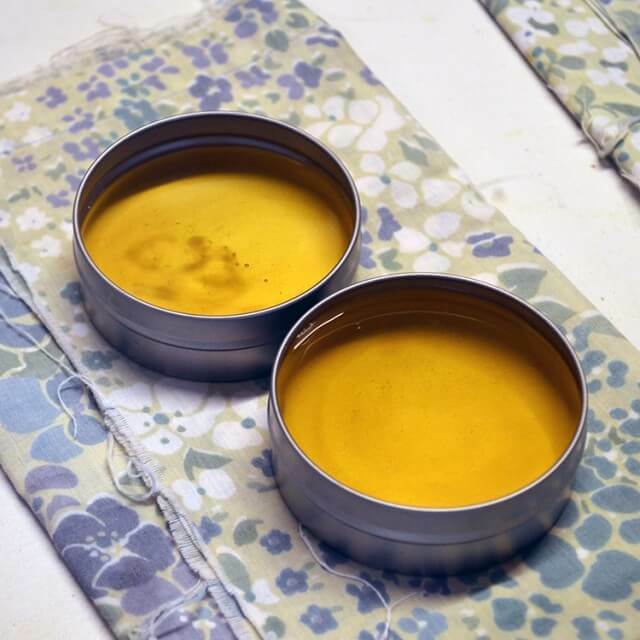 Salves are a little runnier so can be packaged in squeezable tubes. Balms are harder and are almost always in jars/tins. 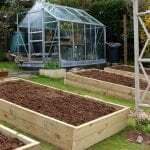 I have two allotments in Suffolk and one is totally down to rows and rows of Lavender. My dear sister Sarah passed away from Pancreatic Cancer a year and a half ago and never got to see my Lavender plot, so I made her Lavender soap from my harvest and started to make my own Lavender balm from coconut butter, bees wax and the essential oils. Sarah had lived in France and gave me the idea of growing Lavender on my very large plot. I was with her when she died.. I miss her so much and every time i am on my Lavender plot I always wish she had seen it. I think of her every day and Lavender will always be there to remind me of her. Thank you for showing me another way to make my balm. I have just finished making my Lavender bath tea bags soaks of which I sell to raise money for this dreadful disease. I think Leo would have been thrilled to know that she’s part of this beauty-making story! 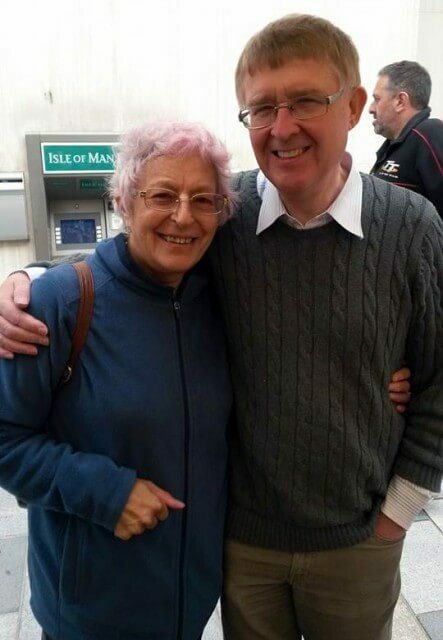 Thanks for getting in touch Jackie and please do let me know how you get on.